Australia is well-known for its incredible surfing locations; from Sydney to Perth, Australia’s coastline offers some of the best surf spots in the world. If you love surfing or would like to learn, don’t miss out on these great gift experiences. 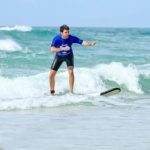 We offer a range of surf lessons, surfing trips, paddleboarding courses and water activities for every level. If you’re a beginner, we have incredible surfing courses that will turn you into a surfing pro! With day surf lessons or week-long surf tours, you will learn just what it takes to ride the waves of Australia’s finest beaches. 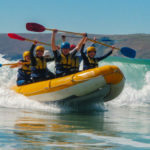 These are available as private lessons or group experiences; perfect for friends or families that love water activities. A surfing lesson is the perfect gift experience. Have an exciting time with your friends, hone your skills in a private lesson or bring the kids along for an adventure: it’s an experience everyone will love.